NMCTR’s purpose is to enrich and expand the lives of children, youth, and adults with special needs through equine-related activities and therapies. 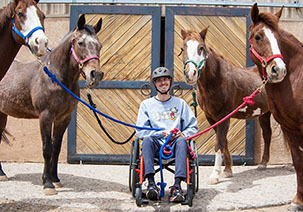 NMCTR’s riding program provides therapeutic riding to expand the cognitive, physical, emotional, and social well-being of individuals with special needs. 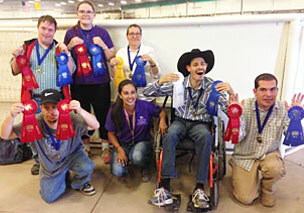 Students of all ages and abilities learn horse management and riding skills. The ultimate goal for our students is to learn to ride as independently as possible and gain self-confidence from their accomplishments. Help us continue our work with special needs children and adults. There are lots of opportunities to make a big difference: volunteer your time, donate, or sponsor a horse. 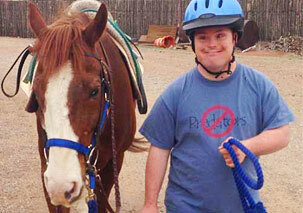 ©2013-2019, New Mexico Center for Therapeutic Riding; all rights reserved. I want to receive the email newsletter in my inbox. I understand I can unsubscribe at any time.